Android is for those who loves technology with their complete heart. Android is also our best friend when we are in need of entertainment such as when we are travelling. There are many who carry laptops and enjoy things on big screen. If you do not get time to check your Smartphone, then get android emulators so that you can use android apps on your Mac computers. You might be having some queries such as what exactly is an android emulator for mac. Android emulators are like software’s, which can install android OS on your Mac systems. Now there is no need to have a look at your phone repeatedly and get distracted. Once it is successfully installed on your computers, you can enjoy android apps on your systems now. It lets you develop, prototype and test different android applications without the need of any physical device. Stay tuned for Linux Android Emulator. Clicking here to download the Bluestacks for mac .dmg file . Note: Sorry Mates, developers discontinued this android emulator for mac. It is not officially an android emulator, but a window’s software with which you can install any operating system on your systems. This is called as guest operating system. It is free of cost. It is a really powerful app and many folks enjoyed its great experience. Its hassle free environment is great and it has many positive reviews. whenever you get time, you can download many new games and apps. You need an account on Genymotion Cloud – to Download and deploy Genymotion android device . This is another android emulator that offers you to enjoy various operating systems. The installation and configuration process of it is very easy. It is easily available online. 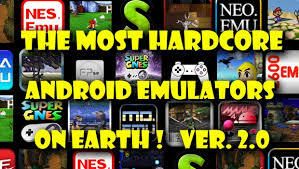 It is having many good features and many are rating it as good android emulator. It can let you have a nice android experience. Look at its features first and it is also free from Mac. Click here to download Xamarin Android Player for Mac. The Configuration/installation instructions for Xamarin on Mac OS can be found here . These are the 5+ android emulator for Mac which you can download and enjoy android experience on your Mac computers. Now you are aware of some of the best android emulators. All these are easily available on the web. After installing one of them, you will be able to have a virtual mobile device experience on a big screen. You can also choose different android versions according to your choices. You just pick the one that is having many features. This way you will be able to enjoy more and easily can run android apps on mac.